Date-appropriate because of their romantic appeal, these earrings are wise investments for your jewelry collection. 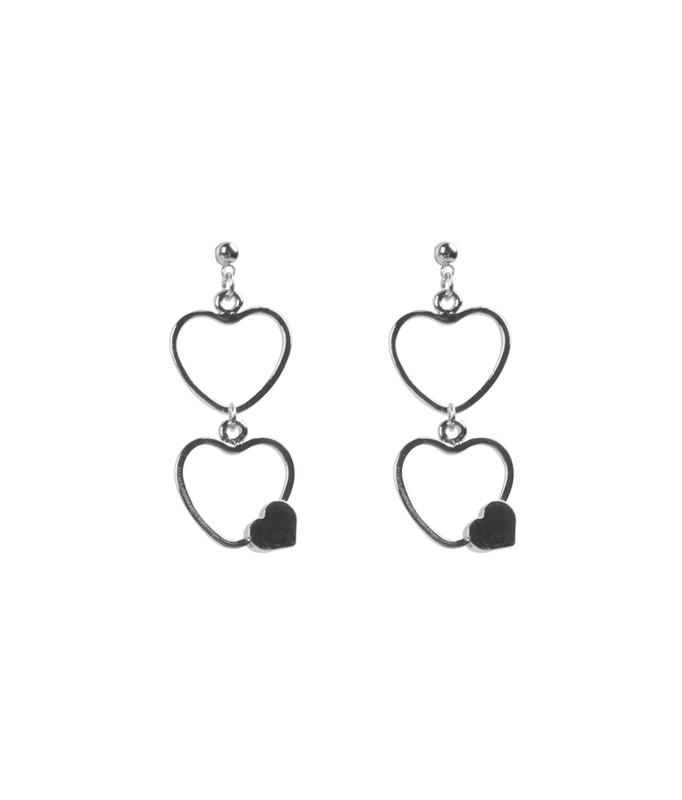 They feature triple heart details in a dangling style, a classic and versatile silver sheen, and stud posts for easy wear. Use them with your black dress and heels for a captivating look.